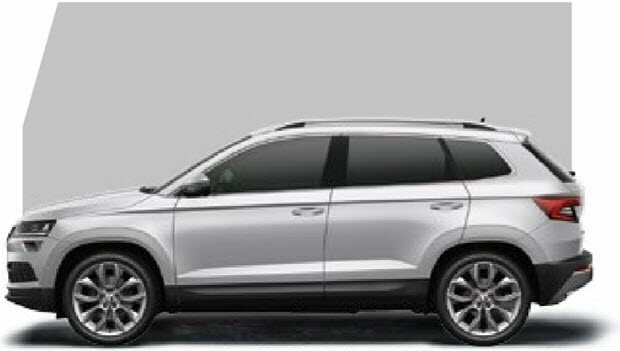 The impressive new Škoda Karoq is a strong, compact SUV, combining versatility and as expected Škoda’s exceptional eye for detail and style. 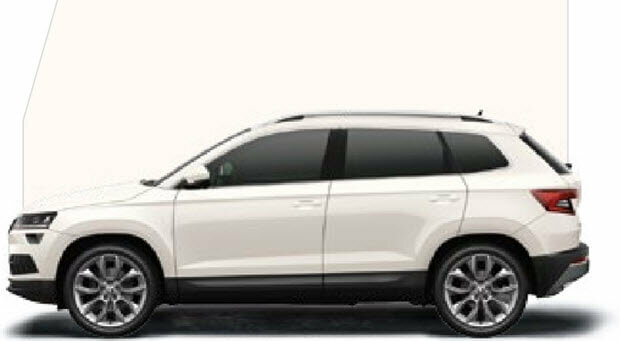 The multi-functional Karoq will easily adapt to your lifestyle and is available in two or four wheel drive. 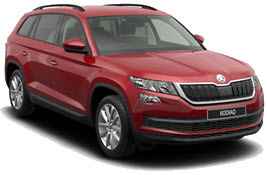 This can be an ideal family car and also a secure, comfy all purpose vehicle with the added benefit of having an excellent towing capability. 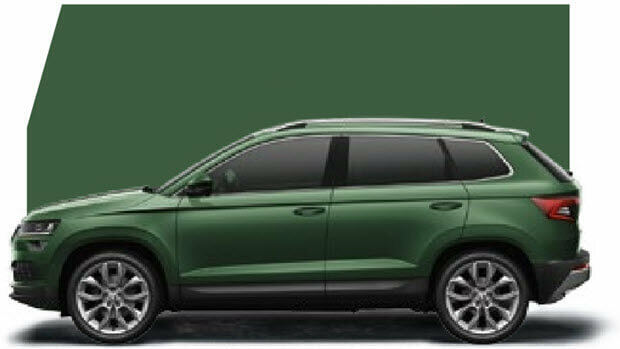 Škoda has really thought about those important aspects that make the Karoq experience so rewarding, such as the amples of storage space, together with the roomy interior and boot space. The entry level SE is beyond expectation and includes electric front and rear windows, dual-zone climate control, cruise control, rear parking sensors, automatic lights and wipers. 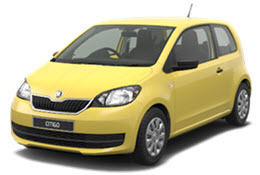 There is also a range of options to choose from, including a variety of colours, wheel options and interior upholstery. Comfort and relaxation is at a premium in the Karoq, there’s plenty of head and leg room for both passengers and driver, plus the high seating position provides excellent visibility. 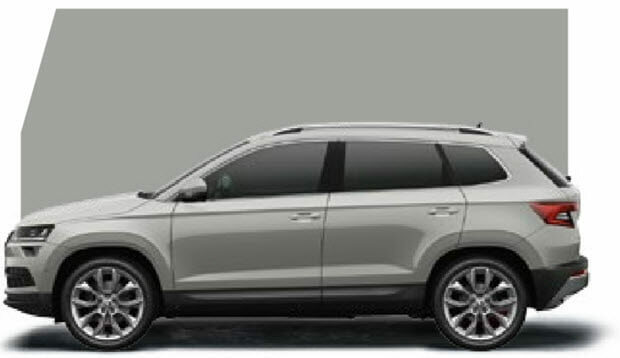 Drivers will be impressed by the variety of seat heights, lumbar adjustments and steering wheel height and reach variants. The emphasis on the Karoq interior is of quality and modernity, with metal and black trims to give it that confident, self assured appearance. 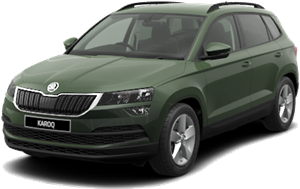 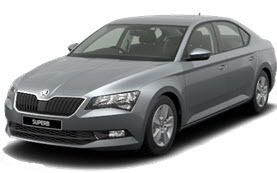 This is coupled with Škoda ’s ability to provide individuality and have created a variety of interior options to choose from. 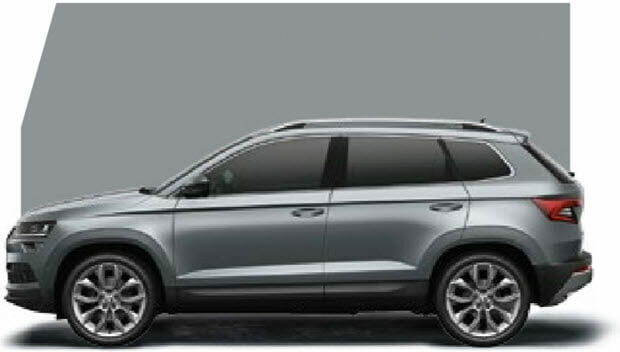 For example on the SE (as if the standard spec wasn’t already good) a 10 speaker sound system could be included, instead of 8, tablet holders provided for back passenger or VarioFlex seats for increased seating dynamics. 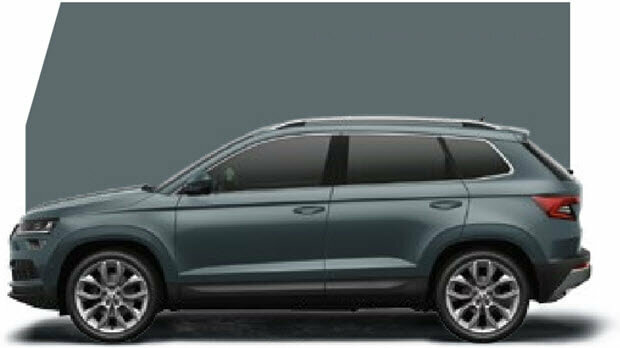 The Karoq is outstanding in its class for seat variability with seating that can be arranged to suit your needs. 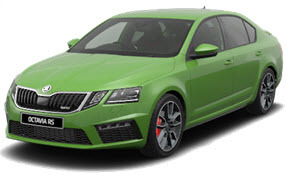 VarioFlex seats are standard in the SE L and Edition trims and optional on the SE. 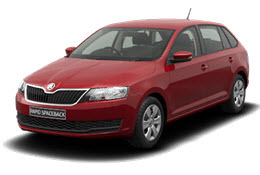 They not only, slide recline and split but can be fully removed to extensively increase load and carrying capacity. 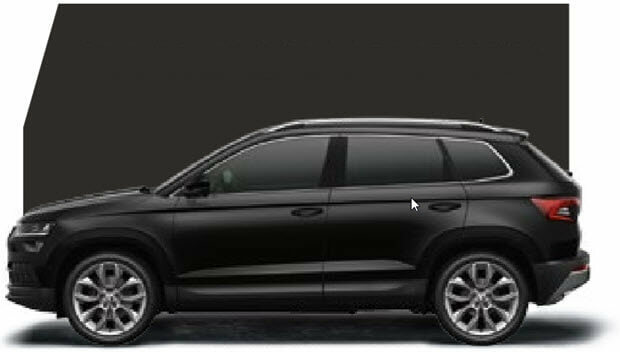 Fitted as standard is the user friendly 8 inch touchscreen Smartlink+ infotainment system, with Apple CarPlay and Android Auto which will keep you informed, in touch and entertained throughout your journey. 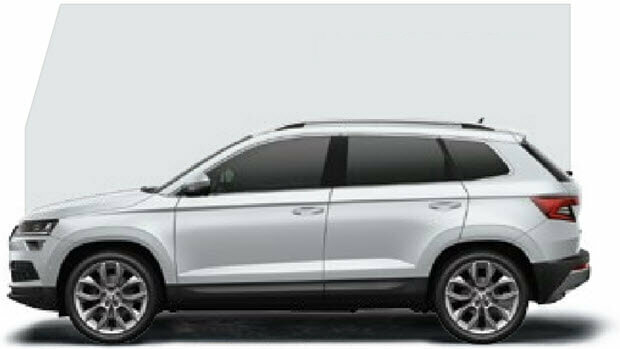 The Karoq incorporates some impressive features with a variety of alloy wheels, automatic LED daytime running lights and wipers and as expected Škoda have included some innovative little extras, such as the virtual boot opening pedal for when your hands are full. 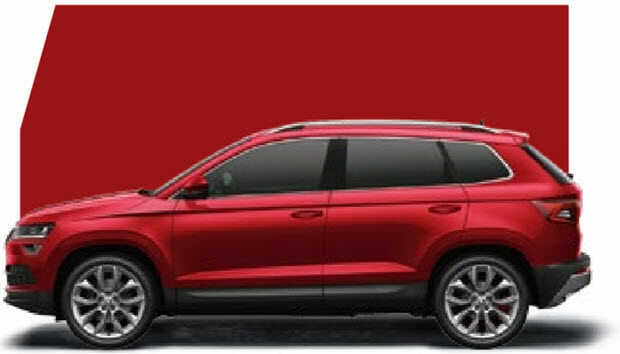 The Karoq has been fully equipped with a variety of innovative technology which includes, gear recommendation and brake energy recovery, stop-start system, together with more effective and economically run engines through the use of ACT. 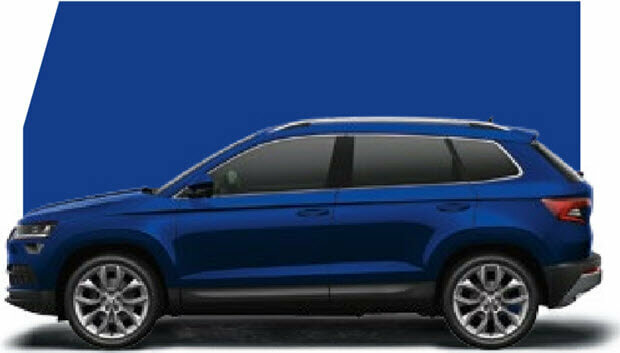 There are four injection, turbocharged engines available, the TSI - 1 litre and 1.5 litre and the TDI 1.6 and 2.0 litre, plus a choice of manual and automatic DSG transmission. ​CO2 emissions for the Škoda KAROQ range are 138 - 117 g/km. Your Karoq also benefits from a three-year paint warranty and 12-year body protection warranty.